Somersby has entered into its second phase of its campaign which launched last year called #ThatWeekendFeeling. According to the company, the campaign led the cider brand into double-digit growth over the same period last year. The brand entered its second phase of the campaign by unveiling its drinking ritual at the launch in Tavern 13 in Petaling Jaya, which was attended by 200 people comprising of media and consumers. 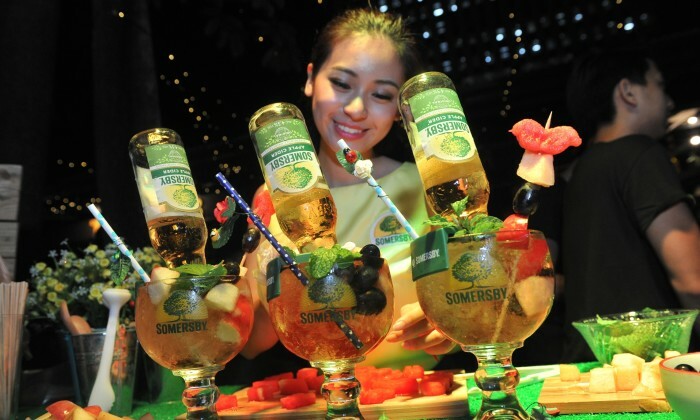 Guests were introduced to Somerita – a drinking ritual of a Somersby bottle literally served upside down over crushed ice, served across Malaysia in selected bars and restaurants. Guests were also treated to Somersby Blackberry cider – back by popular demand. “We are deliberately using light hearted ways to engage with our consumers because this is exactly what the brand stands for – fun and quirky. The concept is so simple, yet uplifting. So grab a few friends and chill with Somersby Cider anytime of the week – the shortcut to give you #ThatWeekendFeeling,” said Juliet Yap, marketing director of Carlsberg Malaysia. So how does a business succeed at digital marketing in Malaysia? ..